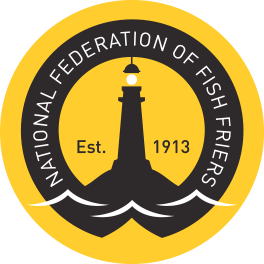 It is nearly time for one of the KEY days on the fish and chip industry calendar, and the NFFF will be there once again. It^s A FREE day where you will learn key skills and also get to meet some of the country’s best friers and also top suppliers too. On the day speakers include current National Fish and Chip Award Champions Millers of Haxby, & Field to Frier Winners Mister C’s, and Stonehaven^s finest Calum Richardson from the Bay. Plus we have a few surprises too! The day will start at 09.30 am with a cup of tea and a welcome from Chippy Chat Publishing Editor Austen Dack. At around 10 am the presentations will start on stage. The day kicks off with an introduction from NFFF President Andrew Crook. They have arranged a visit to a major local farmer where you will be given a great insight into the journey a potato takes on its way from ‘Field to Frier’, (please bring your wellies if wet). The day is FREE to attend for chip shop owners and managers (and staff). Maximum four per shop. Places for the day have nearly gone so please email austen@chippychat.co.uk asap with your ticket requirements. Let them know if you are staying for the optional evening meal too. If you would like to attend as a supplier and mingle with over 100 top chip shop owners, please email austen for the packages available. As well as tea/coffee we will be offering complimentary food tasting from our supplier partners including Kerry Food Service, Pukka Pies and Middletons. In the evening they will meet up (optional) to have a few drinks and something to eat before the evening ends with either an overnight stay (booking recommended) or the drive home.